I visited Geni.com on their invitation yesterday. 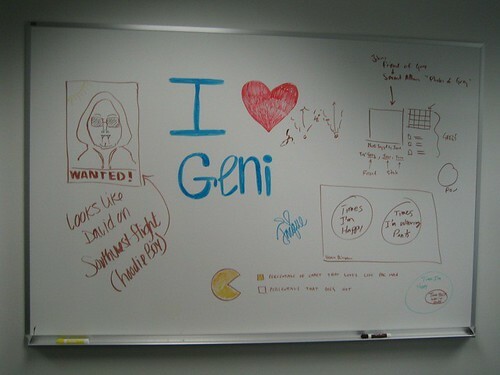 The first time I come across Geni was on Techcrunch when it amazed everyone with a US$100M for a 7-weeks old company. They are founded by a bunch of ex-Paypal and eBay employees. I finally got around playing with their tool and I have to say I am pretty amazed at what they did. They are quite proud in what they have, and is not shy to say they have a web “a grandmother can use”. And it is probably true. 1. Genealogy, according to them, is one of a popular hobby in US. I can imaging that is kind of hobby one would take up when you grow older and from our conversation, thats seem true. On the other hand, they admitted that most of their family trees are currently started by younger generation. This is going to be challenging to them to market to the right market segment.